Accompanied by vibrant color pictures of adorable puppies and kittens, this book will capture the interest of elementary school students. Beginning with 'Words to Know' and continuing on to explain what division is and its relationship to subtraction and multiplication, readers will learn division within 100, supporting the Common Core Math Standards, and have fun at the same time. 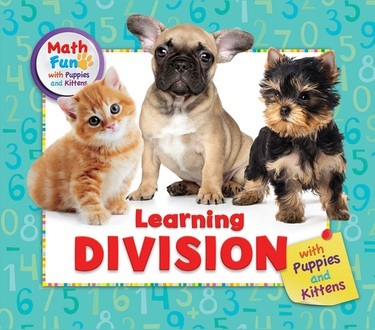 They will learn to recognize words that will lead them to use the operation of division to solve real-life math problems and feel confident about their ability to understand and implement division concepts. Dimensions: 8 1/2" x 7 1/8"